I know my random rap peoples are all well aware of the “BE INTELLIGENT E.P.” 12″ i did in 2006 with my family over at DWG (Diggers With Gratitude). What you may not know is that one of the songs that made it onto that E.P., “Release Yourself”, was supposed to come out a year earlier through Landspeed, the same label that put out the “On Tempo Jack” 12″. Had the labels all designed, I think even one-sheets might have been done (don’t quote me on that, I could be just having a senior moment here). 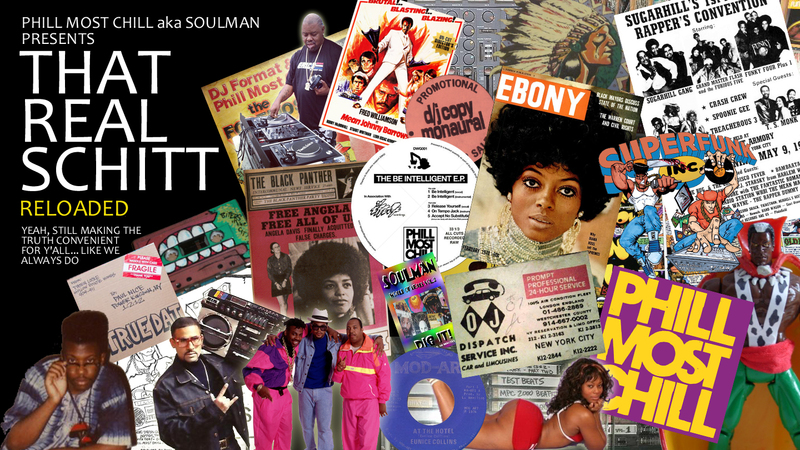 But alas, twas not meant to be (which is too bad, because I’m still fiendin’ for the opportunity to drop that “Freestylin’ With Phill Most” track that was supposed to be on the a-side of the 12″ that never was… you may have heard some of “Freestylin’…” on that SOULMAN “Neva Stop Diggin'” cd, but until you hear the whole song, particularly the last verse, you really haven’t heard it at all!). The version of “Release Yourself” that was gonna drop had a different mix, too… including some shout-outs at the end of the song. I still had to end up fading it out early, because I thought my voice was sounding real bugged out on some of those shouts to my old school crew. That was a real problem with those old in-the-crib-4-track recordings i did back then… if I messed up, my equipment wasn’t even good enough for me to be able to get a decent punch-in to correct any blurrrs or slurrrs. 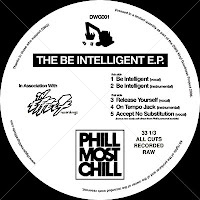 So any of that old 1988-1991 era Phill Most Chill stuff that you hear is almost always a straight take from start to finish- no punches (and if there IS a punch-in, it’s usually glaringly noticeable). Matter of fact, when I re-issued the “On Tempo Jack” 12″ and omitted the song “Out To Kill” that was on the OG 12″, some people complained that the song was left off just to keep the original vinyl more collectible. Well, although I am indeed happy that the OG maintains it’s exclusivity, the REAL reason I didn’t put “Out To Kill” on the re is that I just didn’t like how I sounded on it. All my homeboys back in the days used to love that song, but I cringe to hear the parts on that record where my voice is cracking and schitt… lots of stuff I would’ve corrected by punching in if I could have, but it just wasn’t possible. Maybe one of these days I’ll post that song up here for those who haven’t heard that OG vinyl. Then again… maybe I won’t. This entry was posted in phill most chill, random rap. Bookmark the permalink. Nice one Phill, the DWG 12″ has been on heavy rotation since it arrived, it’s always good to hear alternate takes of tracks though !! !Any word on more G.U.N. stuff ? They posted on soulstrut that a new CD was going to be released but I never heard anything more ??? Unfortunately my boys G.U.N disbanded earlier this year… as has happened with a lot of underground hip hop groups recently, the indy struggle in this anti-real schitt era we’re now living in got to be too much and they decided to call it a day and concentrate on REAL real schitt, like raising their kids and whatnot. They actually did release another cd (mixtape) which I myself never got a copy of (grrrr! )… and in the near future I will most certainly be posting some of their unreleased songs that they did with me. Good to hear some more of your stuff. I’ve only ever heard OnTempo Jack besides this. Real nice. That ‘to hell with it / crew by crew’ line was killing me! eh YO Philly Phil never leaving the crates alone!From fellow dusty wax catchers Beat Detective & Kid Dyno of the Daily Diggers.Real Hip Hop lives here!Suckas bite the dust! Keeping the reissues slightly different from OG pressings is always a good look, in my opinion.